You’ve got something on your face, Tom. 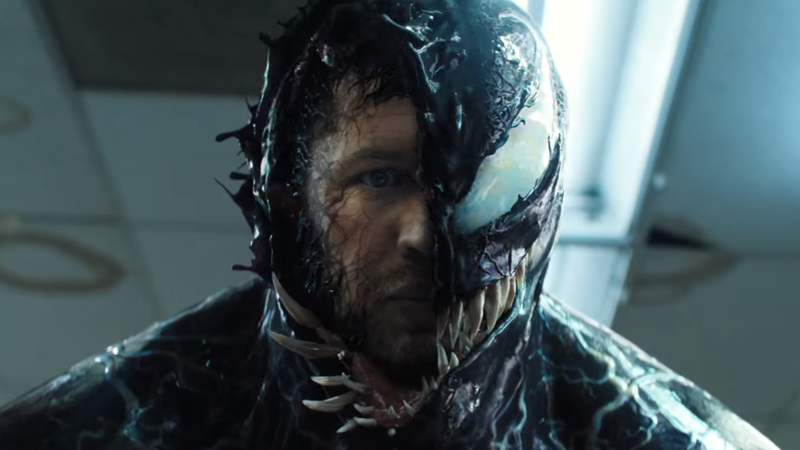 The new trailer for the Sony film delves a little more into the actual basic premise, something mostly absent from our earlier glimpses of the film—Eddie Brock (Tom Hardy with an accent that continues to perplex), a journalist who uncovers a very shady experiment with alien species that, in turns, leads to him becoming connected with a symbiotic being that transforms him into the violent superpowered anti-hero Venom. 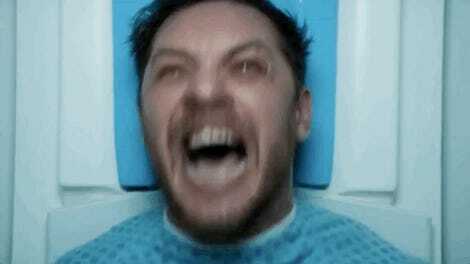 There’s a lot of good Venom-y action here—even some tantalizing shots of Riz Ahmed’s villain in action as the other symbiote of the film, Riot—as well as lot of interesting displays of just how Venom will deal with its dual protagonists, given that they occupy the same body and a lot of Hardy just talking to himself is bound to get old at some point. And, it’s also darkly funny at times, both from Hardy’s own reactions as Eddie gets further caught up in the symbiote’s violence, or even the symbiote itself, who relishes in giving some...and, let’s say, graphic threats. 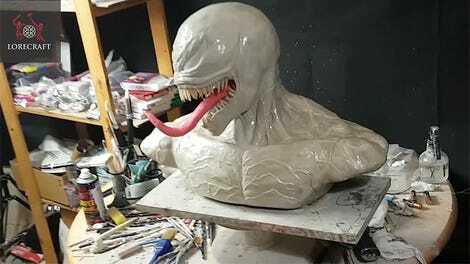 Venom rolls into theaters like a turd in the wind October 5.